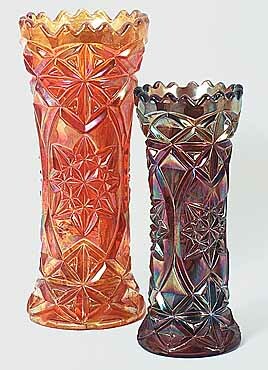 These vases are also known under the name of Pinwheel, although Derby was the Sowerby name. 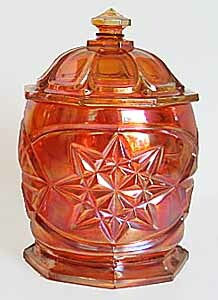 In addition to the vases, a wide range of shapes was produced in the Derby pattern. 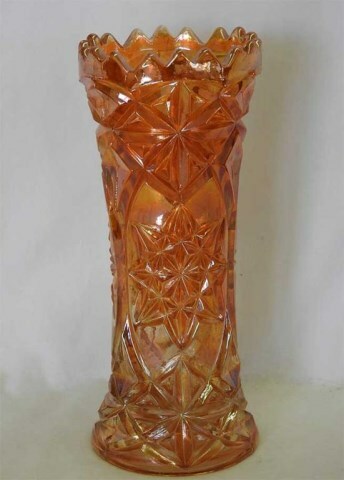 The marigold vase above is 8 inches tall; the amethyst is 7 inches tall. 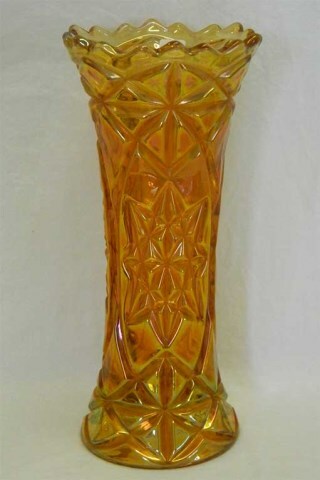 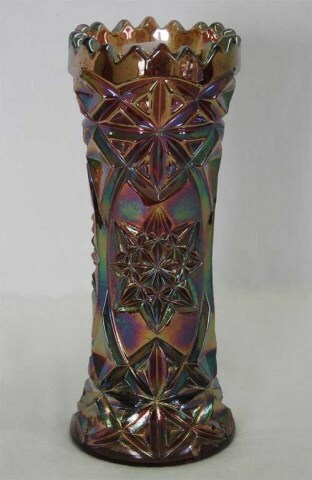 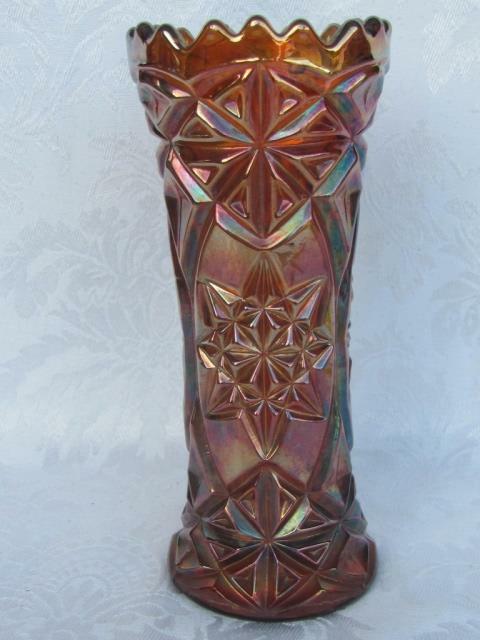 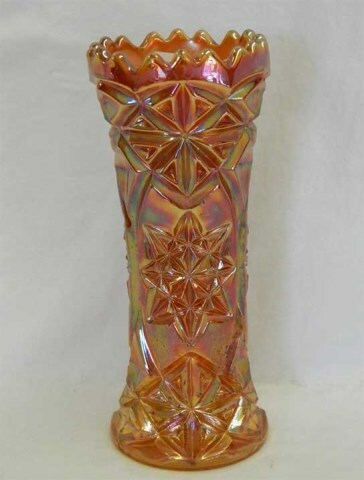 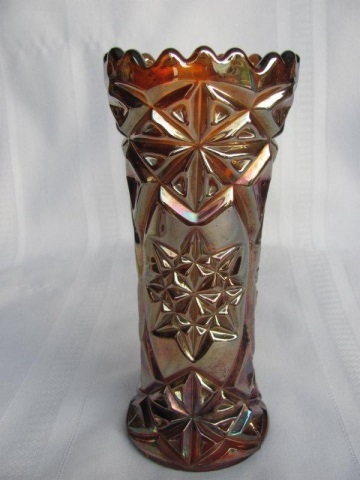 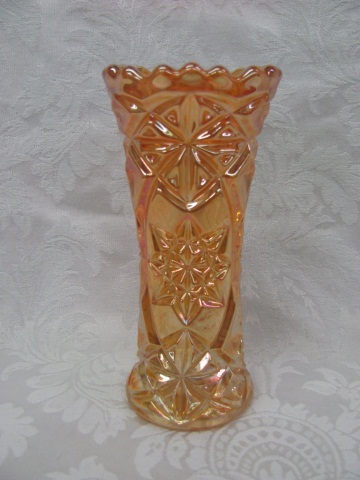 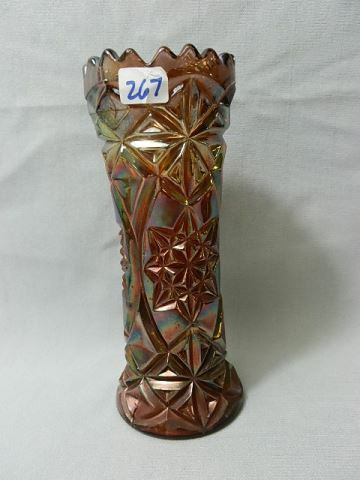 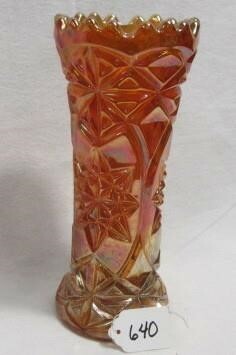 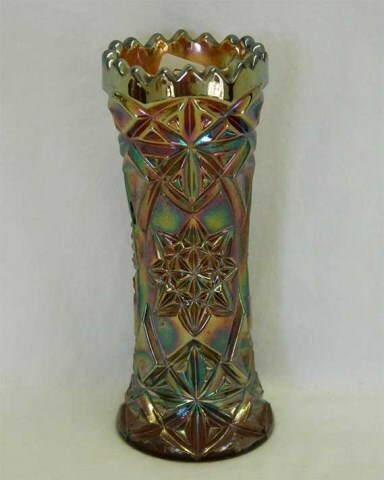 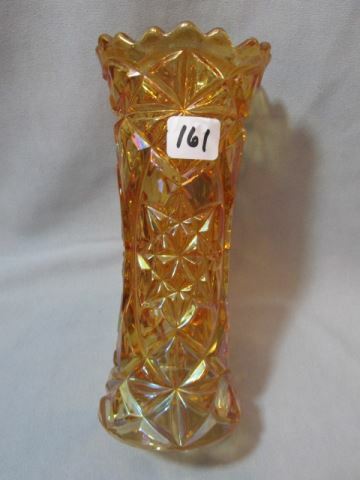 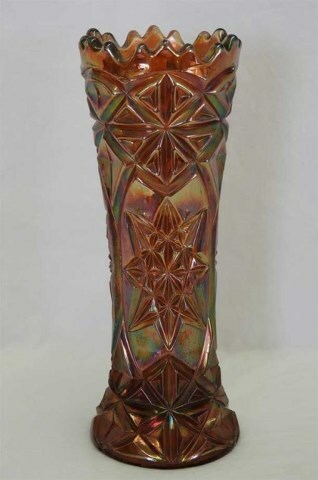 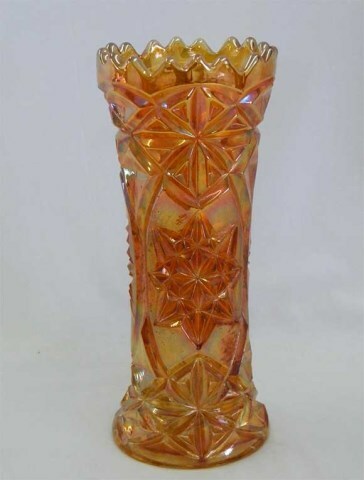 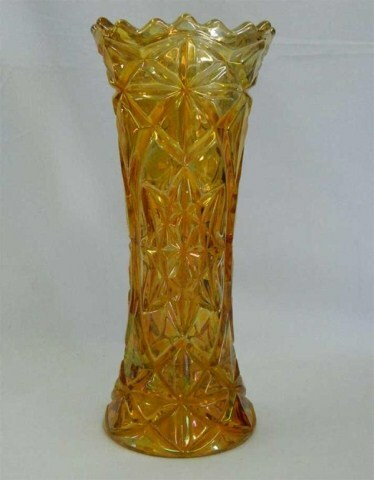 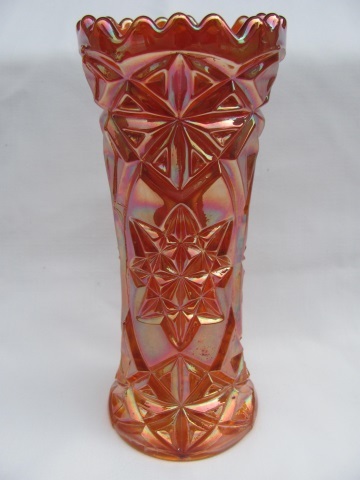 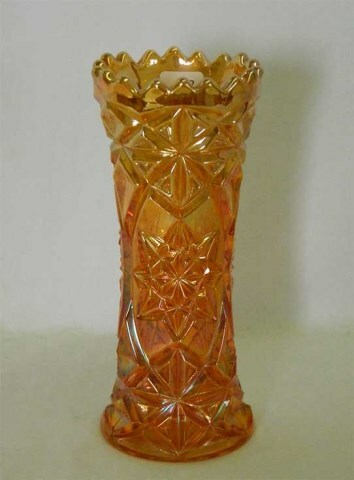 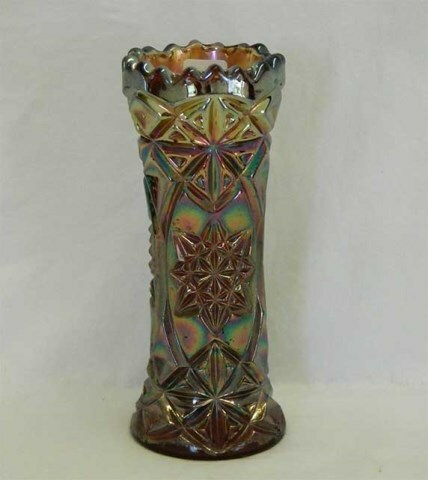 Sowerby was an English glass manufacturer, but the vases were also produced by the Czechoslovakian maker, Josef Inwald. 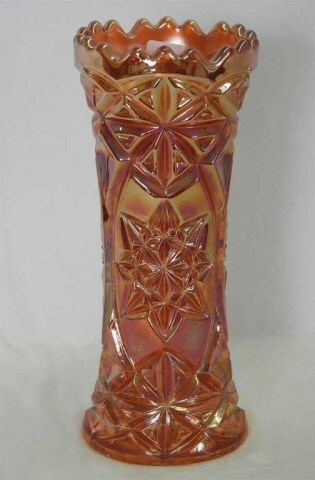 On the right is a cookie jar in the Sowerby Derby pattern.